When spouses decide to end their relationship, they can either terminate their marriage through divorce or divide their assets with an action for separation, while leaving the marriage intact. In Michigan, spouses can file for divorce, but there is no proceeding called legal separation. Instead, if spouses wish to remain married, they can file for separate maintenance. 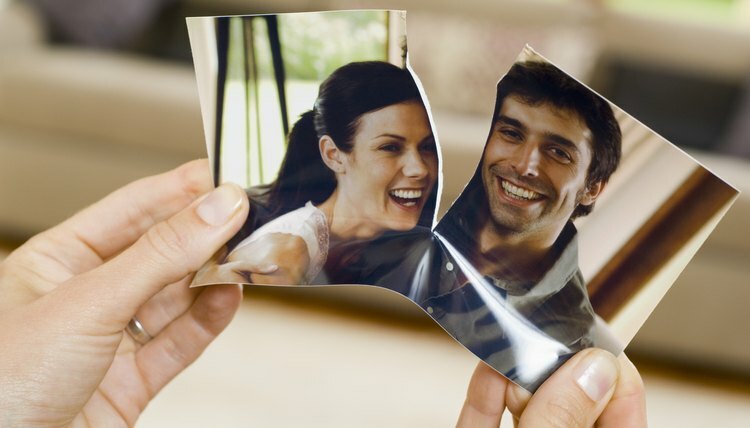 The procedures for separation and divorce are almost identical. In fact, the key difference is that with divorce, the marriage is dissolved, but with separation, the spouses, with their lives now completely divided, are still legally married. In Michigan, either spouse can file for divorce, as long as the state's residency requirement is satisfied. Michigan law requires that at least one spouse live in the state for no less than 180 days before filing. The filing spouse must file the complaint in the County Circuit Court in the county where the couple lives. Michigan also requires grounds for divorce, but because Michigan is a "no fault" state, the complaint need only assert that the marriage suffered a breakdown and that there is no likelihood of reconciliation. Legal separation is referred to as "separate maintenance" in Michigan. The filing requirements for separate maintenance, including residency and grounds, are the same as those for divorce. The procedures for division of property, child and spousal support, and child custody are also the same. The main difference with a separate maintenance action is that the marriage is not terminated. Spouses may have their reasons for choosing to preserve the marriage. For example, a separation action allows one spouse to keep the other spouse on his health insurance because they are still legally married. Other concerns may be religious in nature or may arise from immigration issues. Additionally, one benefit of legal separation over divorce is that spouses can still file a joint tax return, which can provide greater tax breaks than filing individually. Whether spouses separate or divorce, a Michigan court will divide the marital assets equitably. "Equitable distribution" means fair, though not necessarily equal. Spouses are entitled to retain their separate property, including inheritances or gifts they received individually and any property owned before the marriage. The court will then divide the marital property between the spouses. Equitable distribution factors the court considers include the value of each spouse's separate property, each spouse's income, the duration of the marriage, each spouse's conduct during the marriage -- meaning adultery, abuse or abandonment -- and other relevant circumstances --especially if one spouse will have custody of the minor children. Spousal support, also called maintenance or alimony, may be available to one spouse during separation or divorce. A Michigan court can award spousal support to a spouse who does not have an income or assets sufficient to be self-supporting. No set formula exists for calculating support. The court considers the same factors for property distribution, with the additional factor that the ability of the spouse who owes support must still provide for his own needs. Spousal support awards are generally temporary, and the court can modify them if either spouse experiences a change in circumstances. For example, if the owing spouse becomes unable to meet his support obligation, he can seek modification. He can also request modification if the other spouse's income has changed, and no longer requires support. Whether it arises from a divorce or from separate maintenance, Michigan courts determine custody based on the "best interests of the child" standard. When determining which parent will be the primary custodian, the court examines each parent's relationship with the child, each parent's ability to serve as custodian -- including the ability to provide a stable home, food, clothing, shelter and medical care for the child -- the parents' moral behavior, including drugs, alcohol and any criminal activity -- and the child's preference. Once the court issues a custody order, the court will order the non-custodial parent to pay child support. The basic child support amount is set, based on the parents' total income and the number of children that require support. The court then apportions that amount, based on each parent's percentage of the total income and the amount of time the children spend with each parent.